As the Wrigley Field renovations are far from over, the Chicago Cubs are preparing for their home opener against the St. Louis Cardinals Sunday night. 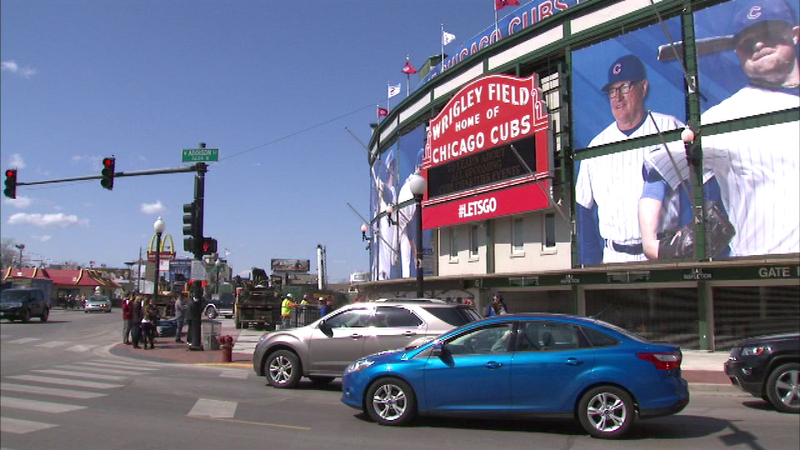 CHICAGO (WLS) -- Although the Wrigley Field renovations are far from over, the Chicago Cubs are preparing for their home opener against the St. Louis Cardinals Sunday night. The team has been testing the new giant video board that was just put up two days ago, and construction crews are still working inside and outside the ball park. The bleachers will not be ready until about mid-June. You'll be able to watch a number of Cubs games on ABC7. Our first game is Wednesday, April 8, when the Chicago hosts St. Louis. Coverage starts at 1 p.m.